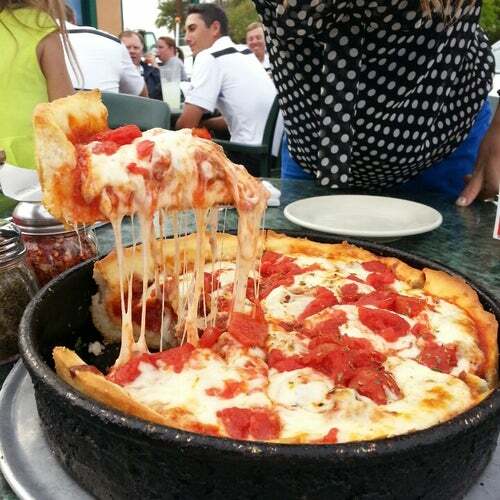 Chicago's Gibbilini family has taken over Arizona with their hometown pizza and Italian dishes that made Chicago famous. Have a Bellini with your BABE any night of the week! "What Diet" Nights splurge on the Meatballs! On those "Babe Love Your Tight Abs" Night have the Large House and add the seasoned chicken! But make sure you try the seats at the BAR once they are a must! Have a Bellini with your BABE any night of the week! "What Diet" Nights splurge on the Meatballs! On those "Babe Love Your Tight Abs" Night have the Large House and add the seasoned chicken! But make sure you try the seats at the BAR once they are a must!!! Great food and staff i have never had a bad time there and ive been going for years.